Delta offers customer EDI integration, which allows streamlined ordering and invoicing processes, as well as up-to-date inventory management, on behalf of our partners. 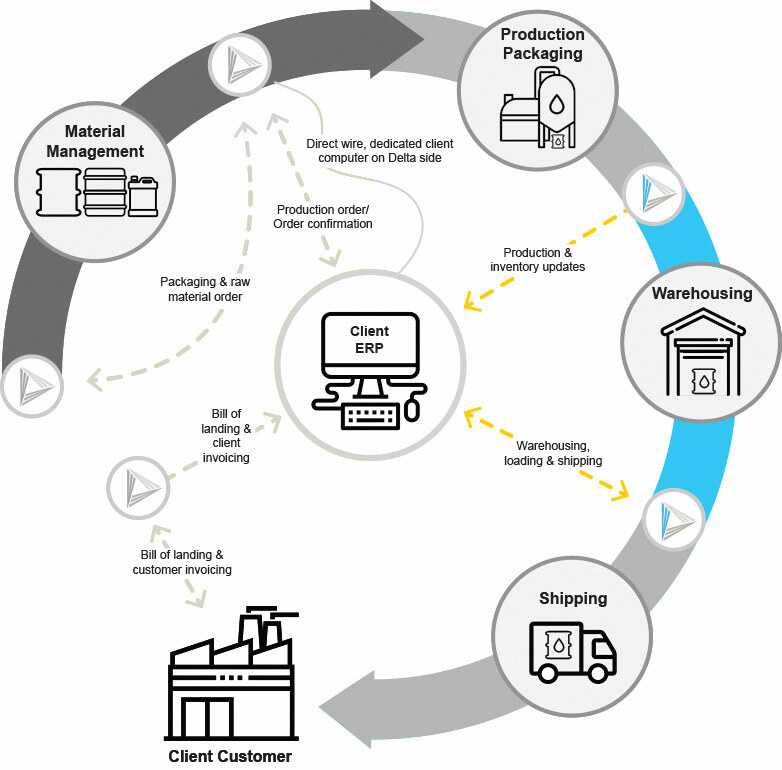 This valuable service provides seamless transaction order fulfillment and acts as an extension of your supply chain. Delta will work with your preferred materials management vendor to plan and execute packaging and raw materials for your product.